The train that crosses the three states runs through Jagdalpur, Raigara and Koraput, which are Naxal affected regions. The Hirakhand Express, running through Naxal-affected tribal areas of Orissa, Andhra Pradesh and Chhattisgarh, will be the second train after the premium Mumbai-Delhi Rajdhani Express to have a sanitary pad vending machine onboard. Earlier, in March, Western Railway installed a dispenser in the Mumbai-Delhi Rajdhani Express expanding the Railway Ministry's efforts to provide sanitary pad vending machines at every station. The East Coast Railway Women's Welfare Organisation (ECORWWO), which had earlier spearheaded a campaign to provide free wifi at railway stations in tribal areas in the region, and had also pushed for the vending machine on the Bhubaneshwar-Jagdalpur Hirakhand Express. 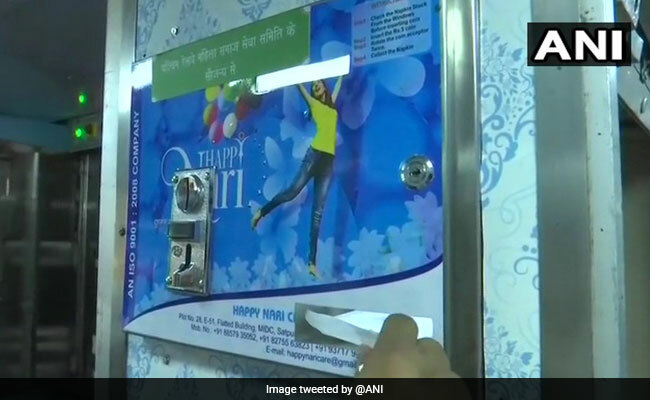 The napkin vending machines, installed in the toilet of the A1 coach, were pressed into service starting Tuesday evening where passengers can buy the pads for Rs 5 each. 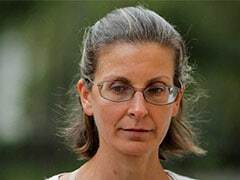 "After seeing the positive response to these machines at stations, we decided to go a step forward and install a vending machine on this train that pass through interiors of three states," Madhulika Singh, President, ECORWWO told PTI. "It will benefit women passengers of various sections and after we get feedback on this one, we will extend it to other trains as well," she said. A recent study by The Neilson Company and NGO Plan India showed that almost 88 per cent of Indian women do not use or do not have access to sanitary pads. While each pad in the vending machine costs Rs 5, the government, on International Women's Day, also launched biodegradable sanitary napkins at Rs 2.50 per pad. ECoR has also installed napkin vending machines at railway stations at Bhubaneshwar, Khurda Road, Vishakapatnam, Vijayanagaram, Sambalpur and Puri.